We had a busy year! Here are the highlights. This year marked the launch of CyclingSavvy’s new website! The entire site is devoted to making your bicycling easier, everywhere you ride. 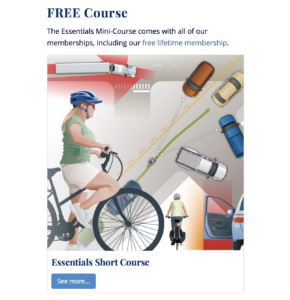 Since the site launch six weeks ago, hundreds of people have signed up for the Essentials Free Course. Money must never stand in the way of life-saving information. Last June ABEA launched this video for law enforcement. Have you watched it yet? Check out this full page of information, including a detailed breakdown of the common language in roadway position statutes. 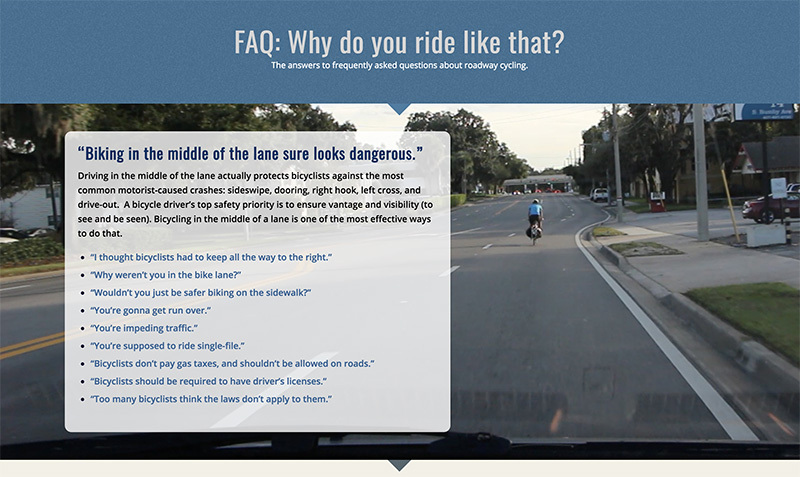 We’ve made it easier than ever to answer those pesky questions you receive from people who don’t ride. Keeping yourself safe around trucks and other other vehicles is essential information for Every. Single. Cyclist. With apologies if you find that dramatic. It’s not! Every cyclist needs this information. 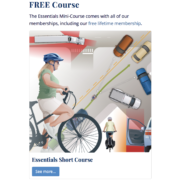 We published a video excerpt of a lesson in our CyclingSavvy Basics course and created a new 11 x 17 poster this year to get the word out. Print and share – widely, please! We dream of a day that anyone can hop on a bike and go anywhere, safely, easily and with the joy of mastery. Purchase our premium membership and enjoy the robust, beautifully produced lessons on our Basics and Mastery courses. Donate to our scholarship fund to ensure everyone has a chance to take a CyclingSavvy course. Donate to our general fund to help us expand our programs and create new content. Become a sustaining member by making your donation recurring on a monthly or annual basis. Volunteer your time and talents (we especially need help with marketing, social media, and web support). Amplify us on social media by liking and sharing our posts. 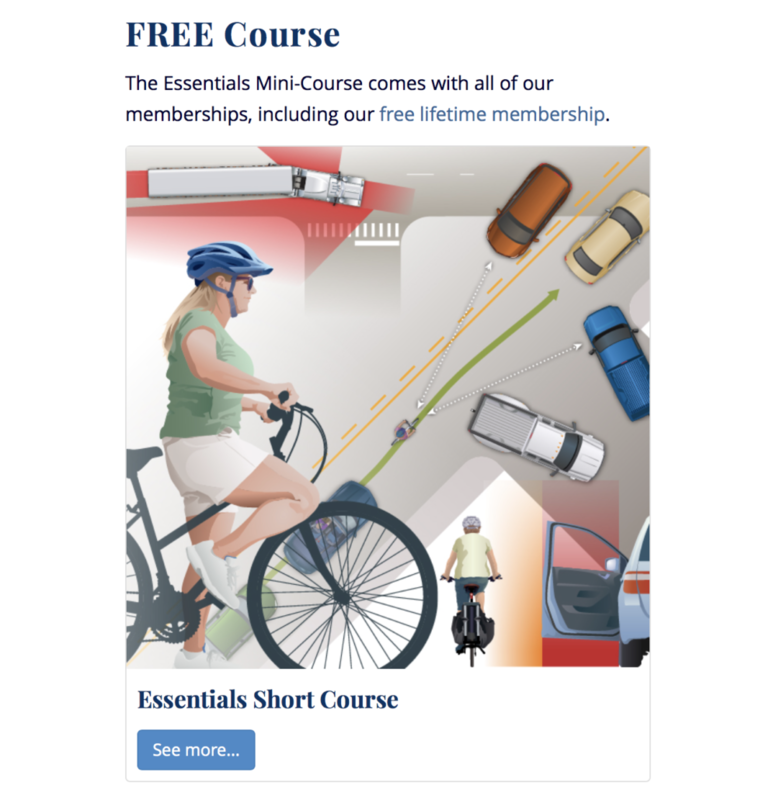 The new site, hundreds of registrations for the Essentials Course, 50K views on lane position for Law Enforcement, education for motorists, plus how to keep yourself safe around trucks (and still more not noted on this page)… Wow! That is a whole lot of fantastic work. Thanks to Keri and an amazing board for these significant accomplishments. You all rock! There is a lot to be proud of here. May 2019 be CyclingSavvy’s best year yet!